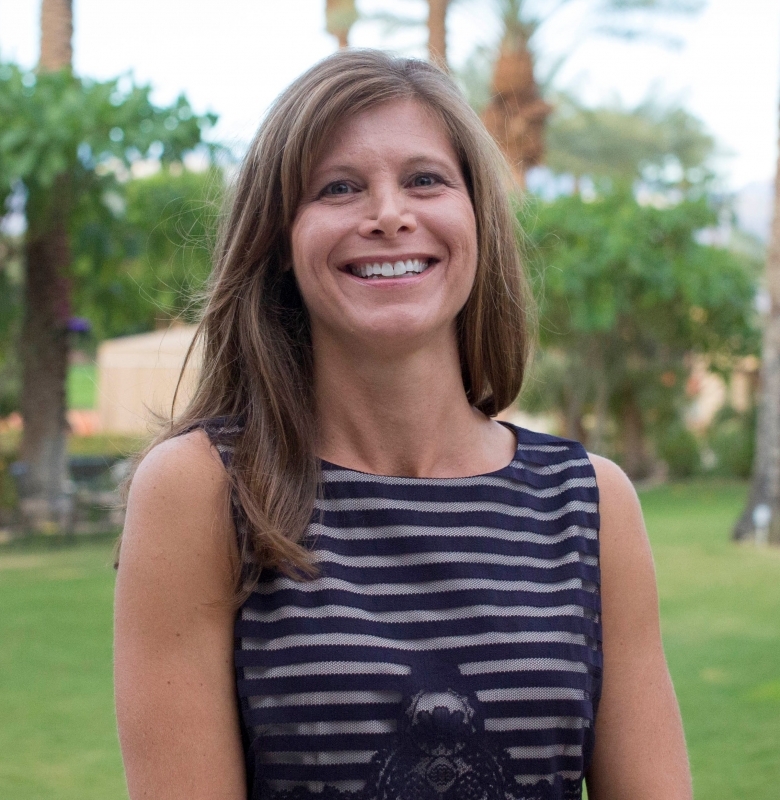 Rebecca is a registered dietitian by education and values nutrition & healthy living. However, her true passion is ministry. She has worked for AMEN since its inception in 2005 when she helped get AMEN established. Now she serves as AMEN's Conference & Membership Director and is assistant editor of The Medical Evangelist. Rebecca enjoys working behind the scenes to equip those in ‘front-line’ ministry with tools to share Christ on a daily basis. She is committed to helping young professionals become passionate about making ministry a part of their careers right from the beginning. Rebecca is married to Dr. Loren Barnhurst, professor of Chemistry at Southern Adventist University, and momma to their 9-year old daughter Claire. Rebecca loves adventure, especially anything in, or on, the water. Neither of us consider ourselves to be writers or editors. Sentence structure, than vs. then, font size, comma placement, spelling, and many other aspects of writing and editing are not our forte. One of us, even uses ‘funner’ as a word! (I took the CLEP exam for English and tried hard to avoid ever writing a paper in college.) Sometimes we have to hire a writer to edit the editorial, so how on earth did we become the editors of The Medical Evangelist? It was a beautiful October day in San Diego, California at the 1st AMEN conference. Unbeknownst to us, God had an ordained meeting during the action team group brainstorming sessions. Not knowing where else to go, we both sat down at the newsletter action team table. It was the least crowded, with only 1 other person at the table. We both thought, ‘Hey, a newsletter for AMEN sounds like a good idea. I could help a little with that’. For the next hour, we, along with Pastor Doug Venn, brainstormed about ideas but never imagined we would be the two to execute all of them! Over the course of the next 15 months the ‘newsletter’ was transformed into the ‘journal’ and took flight. We didn’t plan it, He did. 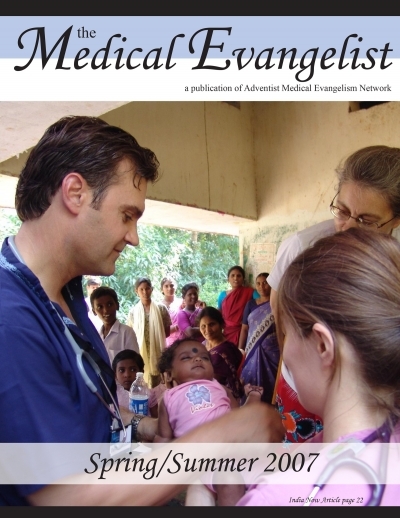 Looking back over the past 10 years, we are amazed and awed at how God brought about publishing the AMEN journal now known as The Medical Evangelist. Just as Christ multiplied the little lad’s loaves and fishes on that sunny afternoon on a hillside near Bethsaida, He has multiplied our efforts. 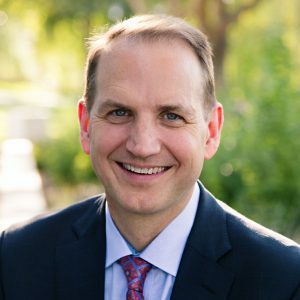 He used our simple desire to begin a small newsletter, which was to provide AMEN members with an update on what the ministry was involved in, and expanded it exponentially. We expected the Board to initiate and oversee this project, but seeing a vacuum we thought we would give it a start. Yes, we thought perhaps we would include a testimony or two, but neither of us planned on this becoming a journal. Quite frankly, neither did the AMEN Board! When we decided to write this article, we looked back at old AMEN Board meeting minutes. It was very interesting. We were quickly reminded that the Board was clearly looking for more ‘qualified’ people to head up the prestigious journal AMEN hoped to publish. Many other physicians, who were viewed as more eloquent and experienced writers, were approached first. Some even agreed to be the editor, but time and other responsibilities got in the way and each, in turn, ended up declining the invitation. For us the desire did not diminish, but instead increased. Both of us felt strongly that AMEN really did need a journal where ministry ideas could be shared, inspiring stories could be told, instructional materials discussed, medical and dental students could be encouraged, and the mission of medical evangelism could spread. And so, in January of 2007, the AMEN Board considered ‘upgrading’ the AMEN newsletter to the ‘AMEN journal’. After much discussion and stipulations on the editorial committee that would need to be established, the Board agreed, voting Dr. Brian Schwartz as Editor in Chief and Rebecca Barnhurst as assistant editor. And so the journey began. 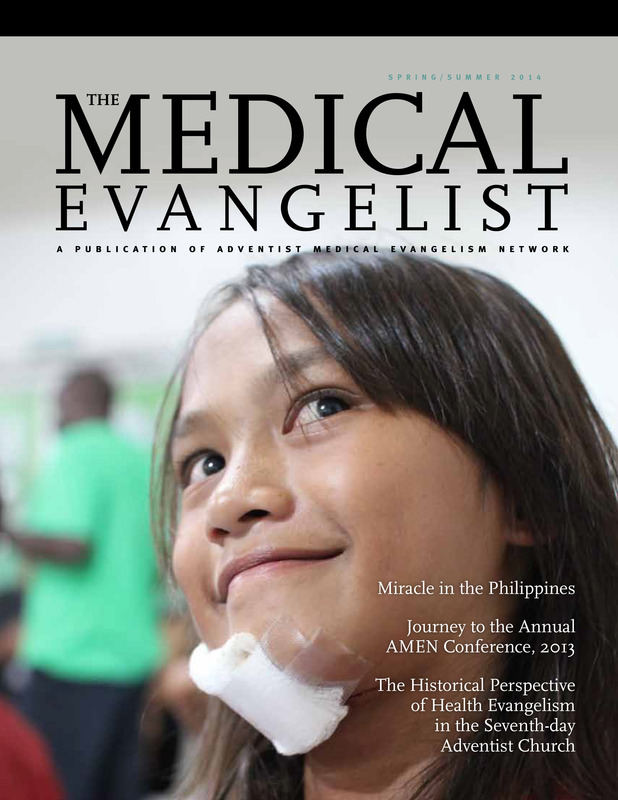 The first few issues of the journal highlighted mission reports and transcribed presentations from AMEN conferences. We had no idea how to publish; the font was too large and the graphic design very amateur, but we were thrilled to get off the ground – that first issue is still very dear to us and it was a great foundation! Today, although we use a professional layout designer and send some articles out for ‘professional’ editing, we still use the building blocks created for that very first issue. Overseas mission and/or AMEN clinic reports are featured prominently in the journal and we still create articles based on transcriptions. Adapting AMEN conference presentations into articles reinforces what conference attendees learned and gives others who were not able to attend a chance to be exposed to the valuable information that was shared. Both Dr. Treiyer and Dr. Beihl were subsidized by AMEN to attend the AMEN conference as medical students. It is so encouraging to see the impact AMEN had on their lives and how it continues to shape their practice of medicine. Each student article has boosted our faith and inspired us personally to continue to be committed to God’s calling in each of our lives. As the journal progressed we aspired to feature a more ‘academic-type’ article focusing on how current research, presented in highly acclaimed peer-reviewed scientific journals, supports Biblical health principles and the writings of Ellen White. In 2011 we introduced the ‘Science & Inspiration’ section with the goal of solidifying our beliefs as Seventh-day Adventists. We hope it has encouraged you to share the health message and ultimately the Creator with your patients. Some of our favorites include: The Altruism series by Dr. Hunsaker (summer 2012, spring 2013, winter/spring 2016), Dr. Charles-Marcel’s Ridiculous or AMAZING? You decide! (spring 2014) and Being Thankful (summer 2015), as well as The Sanctuary, the Prophet Daniel, and God’s End-time Health Message by Dr. DeRose (fall 2013). To motivate, train, and equip Seventh-day Adventist physicians and dentists to team with pastors and members, uniting the church to restore Christ’s ministry of healing to the world, hastening His return. Hopefully we have achieved that through articles that inspired, challenged, and motivated you to take medical ministry to the next level – wherever you are in the process. But most of all, we hope something written in the journal has connected you more firmly to the true source of inspiration – Jesus Christ. It is only by moving forward and continuing to grow that we will truly walk in the footsteps of the Great Physician and fulfill His mission for medical ministry. We ask you to pray, along with us, that God will continue to bless AMEN, and specifically the journal, as we move into a new phase. We, along with the AMEN Board, are excited to see what is around the next corner. We are confident you will continue to be challenged and inspired by the articles in The Medical Evangelist as Dr. Mills takes the reins and leads as the 2018 (and onward) Editor in Chief. We will both still be involved. Rebecca will remain on as assistant editor and Dr. Brian Schwartz will serve AMEN in his new role as President, writing the President’s Perspective for each issue. We challenge each of you to join us in our desire to fulfill the gospel commission and make medical ministry an integral part of our lives. Yearning to do more than just the occasional mission trip or free clinic (as important as those are). Daily, right where we are, seeking to meet more than just the physical needs of our patients, but their spiritual needs as well, impacting them for all eternity!